Convince & Convert is an experienced, highly focused analysis and advisory firm that creates effective, best-in-class digital marketing strategies for the world’s most interesting organizations. We use a framework of four success pathways to show brands how to methodically optimize digital marketing programs to make them remarkable. Many interesting and innovative brands rely on us to solve tough problems and push them forward. Why? Virtually located across the United States from New York to Los Angeles, the Convince & Convert team comprises senior digital strategists with deep experience in content marketing, social media, digital analytics, email, and organic search gained from stints at Fortune 500 companies and leading agencies. We help you get better through audits, creation of strategic plans, workshops, coaching, setting up and configuring metrics and tracking, as well as ongoing advice and counsel. Leading companies trust us because we provide sound recommendations in a straightforward, hype-free fashion at a reasonable cost, with no drama. Nearly all of our clients already have in-house social/content teams and/or agencies. But because we don’t provide tactical implementation services, we don’t compete with your current vendors—we make them better. Convince & Convert was founded by Jay Baer in 2008. Jay has advised more than 700 brands since getting started in online marketing in 1993. He is also the New York Times best-selling author of five books, the most retweeted person in the world among digital marketers, the second-most influential person in content marketing, and a certified BBQ judge. In addition to strategy consulting, the firm also runs Convince & Convert Media, a fast-growing education company that produces six podcasts, a digital magazine, email, webinars, and white papers. In 2015, Convince & Convert was named to the Inc. 5000 list that showcases the fastest growing companies in America. Its Social Pros podcast, which Jay cohosts, was named Best Marketing Podcast by the Content Marketing Awards. We Give You Our Best. Always. Our virtual and totally flat structure means there is no “junior” team. You get our very best every single day, and we guarantee you won’t find a more responsive, easier to work with strategic consultancy. Jay is a hype-free digital marketing and customer service strategist, speaker, New York Times best-selling author of five books, and a technology investor. He founded Convince & Convert in 2008, and it is his fifth multi-million dollar venture. Jay’s tequila and suit collections are rivaled only by the number of companies he’s advised on digital marketing since 1994 (700) including Caterpillar, Nike, 3M, Oracle, adidas, and 33 of the Fortune 500. Jay is a global keynote speaker and emcee, and was recently named a Certified Speaking Professional, an accreditation earned by just 9% of the world’s top public speakers. In 2017, Jay was inducted into the Word-of-Mouth Marketing Hall of Fame by the Word-of-Mouth Marketing Association. And in 2018, he was enshrined in the Professional Speaking Hall of Fame, where there are just 187 living members. Jay’s Social Pros show was named Best Marketing Podcast in the 2015 Content Marketing Awards. He’s also the most retweeted person in the world among digital marketers, and one of the top 3 most influential people online among CMOs and B2B Marketers. At Convince & Convert, he oversees big picture strategy while educating and informing businesspeople on stage and on the page. He’s also a certified BBQ judge. Kelly comes to Convince & Convert with fifteen years of experience in digital marketing, project management and technology integration. Perhaps a hallmark of her efficiency, Kelly drinks everything with a straw and would be unanimously nominated to test the first coffee IV, as long as she could do it with the handbag of her choice. Previously, she held senior positions with the top digital advertising agency in Phoenix. She was also the Senior Internet Director and Vice President of Marketing for Thunderbird School of Global Management, the leading international business school in the world. Though Kelly brings an analytical, data-driven skill set to the Convince & Convert team, we secretly think she’s part psychic and comes from a lineage of fairy godmothers because of the way she anticipates everyone’s needs three steps before they do. 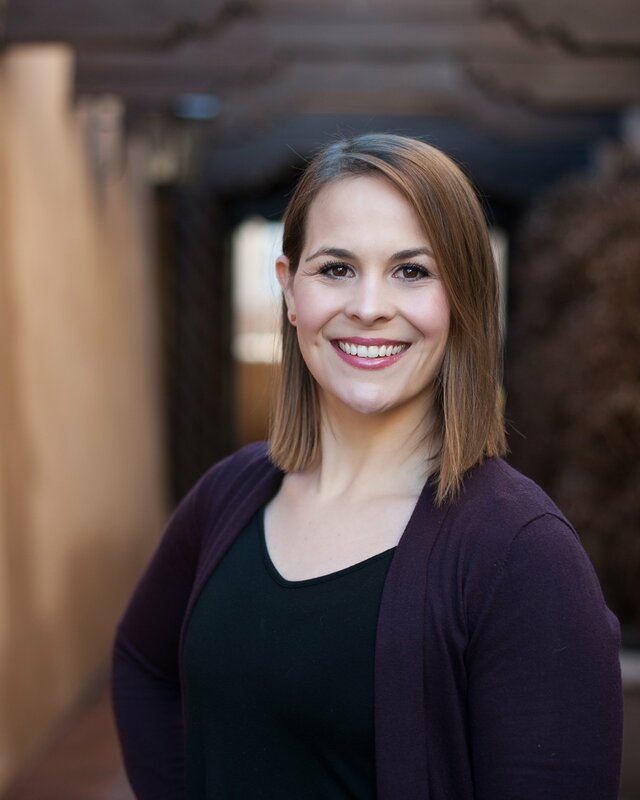 At Convince & Convert, Kelly oversees team efforts, maximizes efficiency and organization, and contributes to overall strategy and development of new products and services. Zontee is your go-to gal if you need restaurant recommendations or fun activities in New York City. Seriously, if you’re in town with an animal-loving, vegan aunt or a punk-rock teenager, she can conjure up an itinerary on the fly. She is the founder of New York-based consultancy Media Volery, an adjunct professor in the City College of New York’s graduate communications program, and a speaker at events across the country. With a passion for brand strategy, content marketing, and consumer behavior, Zontee advises organizations ranging from Allstate Insurance to Indiana University. Zontee’s work has won multiple PR News Platinum Awards and a Forrester Groundswell Award, too. Basically, her office is decorated in hardware. But what most people don’t know is that Zontee is a championship knitter. Seriously, she could knit you a house in an hour. If there is a form of martial arts that uses knitting needles as a weapon, we’re confident she knows it. At Convince & Convert, Zontee creates digital and social audits and strategic plans, and works with agency partners on a variety of initiatives, especially blogging, email, and multi-media content programs. Mary Nice is a social media strategy and implementation expert with experience at Disney, Unilever, Kraft Foods, and Kimberly Clark. She is also rumored to be a baby whisperer, putting parents and babies everywhere at ease—and to sleep. Prior to consulting, Mary was the Digital Marketing Director for Walt Disney Parks and Resorts, where she oversaw strategy, analytics and listening, and community management. Before that, Mary was an early member of the innovative and successful digital practice at Edelman Public Relations, the world’s largest PR firm. While there, Mary’s work spanned the CPG, tourism, and healthcare sectors. We haven’t clocked it yet, but we think Mary’s prep time to jump on a plane is under two hours flat if there’s something interesting on the other side. Mary spends much of her passion-project time consulting with Auburn University, her alma mater, as the president of the advisory committee for the public relations program as well as an active member on the Auburn Athletics Public Relations Council. Anthony has more than 20 years of integrated advertising and digital marketing experience. His expertise spans across 20 disciplines including award-winning email nurture programs, lead-generation, customer retention, advanced analytics and optimization, and marketing automation, as well as his personal faves: Tesla and solar power. Professionally, Anthony is a published author, the former VP & Partner of Advanced Client Strategies for Off Madison Ave, and has overseen the deployment of more than 100 websites before he stopped counting. 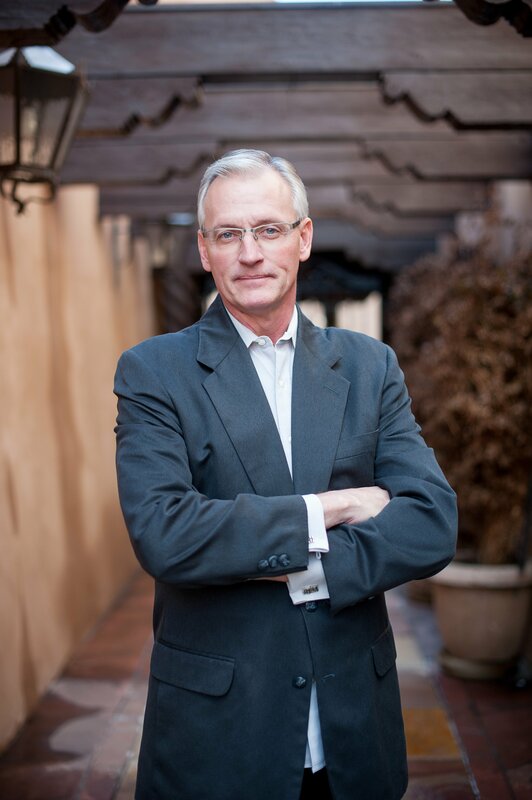 His notable client successes include Georgia-Pacific, CVS Pharmacies, University of Phoenix, Chipotle Mexican Grill, LifeLock, and the Arizona Office of Tourism. Whether or not you believe the rumor that Anthony is a descendant of Jacques Cousteau, the Grand Canyon-sized fish tank in his home office coupled with his penchant for scuba diving and all things under the sea will give you something to think about. At Convince & Convert, Anthony supports the social media and content audit team with adjacent and complementary disciplines. He also provides agencies and retainer clients with real-time advice and counsel. When we can’t find Lauren in the office, we look on the golf course first. Her toddler has a better handicap than all of us at C&C. She produces an annual sports digital and social media event (Sports PR Summit), leads social media workshops, and speaks nationwide for associations, conferences, and corporate groups. Lauren loves all things sports and outdoors, and spends her free time exploring Oregon with her family. She is also the emoji queen. If you need recommendations for the best emoji to use, she knows it. Anna is a content expert who tackles clients’ toughest marketing problems with the tenacity and fearlessness of a honey badger. Not like a mean one, though. More like the nice, non-bitey kind. For more than a decade, she’s developed super-smart content strategies for companies ranging from up-and-coming startups to Fortune 500s. Her experience spans a range of industries, including pharmaceuticals, beauty, healthcare, hospitality, insurance, consumer packaged goods, banking, and education. She’s also helped build content departments at three different agencies. When she’s not dotting the i’s and crossing her t’s, you’ll find Anna living up to the old “work hard, play hard” adage. Sometimes, that means throwing some seriously crazy weights around at the gym, while crushing her latest lifting PRs. Other times, that means sneaking away for the occasional ditch day at Disneyland, but we don’t judge. Contrary to what some might think, she also knows how to unwind, too. There’s nothing she loves more than a relaxing weekend full of video games, happy hours with friends, hanging out with her husband and couch time with her dog and cat. Jenny has spent almost two decades in digital marketing and over 30 years as the “top man” of the three-high family waterski pyramids. One definitely requires more agility, but she’s not telling. Jenny is a content marketing strategist and speaker who has advised clients like Prudential, Acxiom, and Alcon, along with hundreds of startup and growth companies. Jenny’s middle name should be “Hack” because she’s always looking for a way to take two minutes off a commute, find the best deal, cook dinner faster, avoid the common cold, whatever. If you have a problem, she has a tip, a book, an expert, and a better way. When she’s bored she goes looking for things to improve, so we make sure to keep her busy! She’s most proud of her volunteer work; she currently serves as a mentor and president-elect of the Women Communicators of Austin and received the 2014 WCA Mentor of the Year Award. She has served as a SXSW mentor and organizes the 1,200 member Austin Content Meetup. An avid reader, fierce game night competitor, and passionate yogi, Jenny lives in Austin with her husband, architect Scott Magic (who she promises she DID NOT marry just for his awesome last name), and their two LEGO-obsessed sons, one of whom she accidentally named “Magician”. Donna comes to Convince & Convert with a diverse background in marketing and logistics. While it may sound like a peanut butter and banana combo, it gives her an eye for execution behind the creativity. During her agency years, she worked with brands such as Walmart.com, Hershey’s, and Starbucks. After graduating with her MBA from Arizona State University, she managed L’Oreal USA’s inbound corporate transportation. But her right-brain affinity brought her back to digital marketing. Donna thrives on smart marketing with a secret weapon in supply chain management changes to make marketing that much more effective. She provides digital strategy, social media, and content advice to a wide range of businesses and entrepreneurs. Donna claims she was born without a shell and can talk to anyone about anything, navigating a room like a perfectly Google-mapped town. She loves to travel with her husband, Stephen, and walk their mini-schnauzer, Charlotte. In her free time, she enjoys hiking, yoga, red wine, pandas, and puns. Taulbee works at the intersection of CX, Content, Tech, and Operations. He loves helping empower creative /media/marketing teams to build and grow audiences. As an early pioneer in real-time marketing, enterprise content strategy, social monitoring, owned media theory, and the “brand newsroom” operations approach. His book on 21st Century Marketing Operations, “The Owned Media Doctrine” (with the foreword by Jay Baer), was published in 2013 and is currently being used in graduate programs at several universities. Taulbee has led content, social, brand, and CX strategy for more than 50 national and global brands, including Walmart, the U.S. Department of Defense, Ingersoll Rand, USA Football, Angies List, Turner Sports, GoDaddy, Finishline, Bass Pro Shops, the Indianapolis Colts, One America, Lids, Equifax, Mercer, Mapco, Lids, as well as three Super Bowls. A consistent innovator in content strategy, CX, Social, and Audience Development for the last 10 years. He founded the first real-time content agency, Raidious, in 2009 (acquired 2018). Their break-through work on Super Bowl XLVI changed the way brands interact with their customers, and how they approach marketing in real-time. Apple did a case study on innovation on the agency. Taulbee attended the University of Evansville on a music performance scholarship and is a recovering musician. He still does sessions and live performances as a hired gun on weekends. 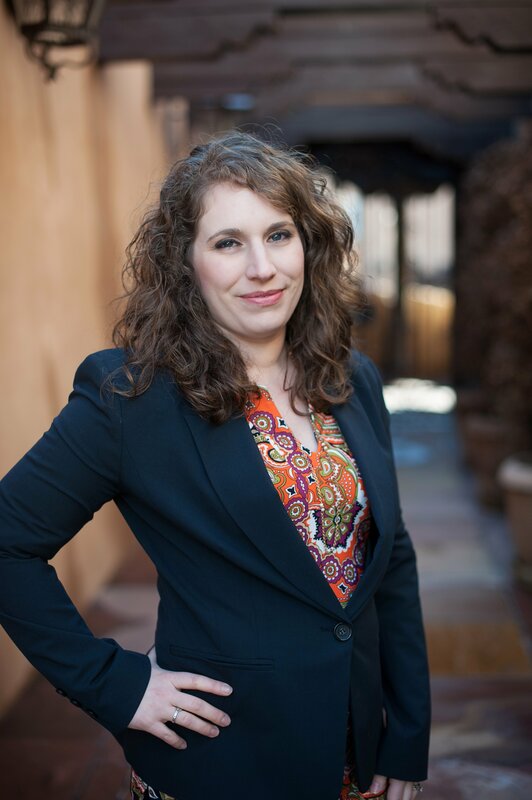 Christin has more than a decade of social media experience coupled with a passion for connecting people with information and resources. But don’t let the pearls fool you—Christin is our resident biker babe and lover of the open road. We love her for her willingness to try anything new, from pioneering a new social platform to building her own computer. Her background includes volunteer and professional service as a civilian advocate for military service members and their families. She has worked with communities for TalentCulture, Social Business Hour, Millennial CEO, and more. Known as a “digital cheerleader” she can be found online promoting and participating in live events related to community building, social business, and professional development. At Convince & Convert, she listens, responds, and connects within all of our social channels and does extensive event promotion. Kristina Paider (KP) is a screenwriter and strategist who leverages newsroom, boardroom, and Hollywood writers room experience to create one-of-a-kind solutions for high-performance companies. Her program, Hollywood Approach, helps individuals and companies tap into their inner hero and amp up their action plan for accelerated results. Her tactics include an infusion of story, dialogue and client experience. As a kid, KP got in trouble for singing at the dinner table, so now she sings through all meals, and some conference calls, too—with or without music. Previously, KP held executive management positions at various global hospitality companies. She has a multi-billion dollar track record working with every major luxury hotel brand in the business as well as media, clients, and colleagues in 28 countries. KP has a natural remedy for just about any health issue, and is an expert at improving the chocolate ratio in everything. At Convince & Convert, she oversees event logistics and contributes to the firm’s business development, research and story initiatives. For the past two decades, Michelle Joyce has managed and coached professional speakers. With an enthusiastic passion for the speaking industry, she has sold thousands of customized and personalized seminars to companies and associations all over the globe. Michelle creates lasting friendships with her clients, and the tools and processes she has created ensure a flawless event experience for both the speaker and the customer. Her coaching programs help individuals create stronger, more attractive brands; develop relevant seminar content and stories; polish presentation skills; and generate more awareness for products and services. Michelle has been acknowledged in five business books for input, ideas, and expertise; and her articles have appeared in a variety of blogs and newsletters. When she’s not booking Jay or her other speakers, Michelle can probably be found in her kitchen, cooking and baking for one of her famous parties. She also loves to travel and has swam alongside sea turtles, kayaked through waterfalls, snorkeled through underwater parks, ridden horses on Caribbean beaches, and eaten blowfish (which she also caught). Kim has nearly 20 years of experience in digital marketing methodologies and technologies including online advertising, email marketing, search engine marketing (paid and natural/organic), social media, analytics, website strategy, and project management. Kim is an unstoppable force who can drink up to six pots of coffee a day, still get a good night’s rest and wake up refreshed and with the perfect J. Crew ensemble for the day. 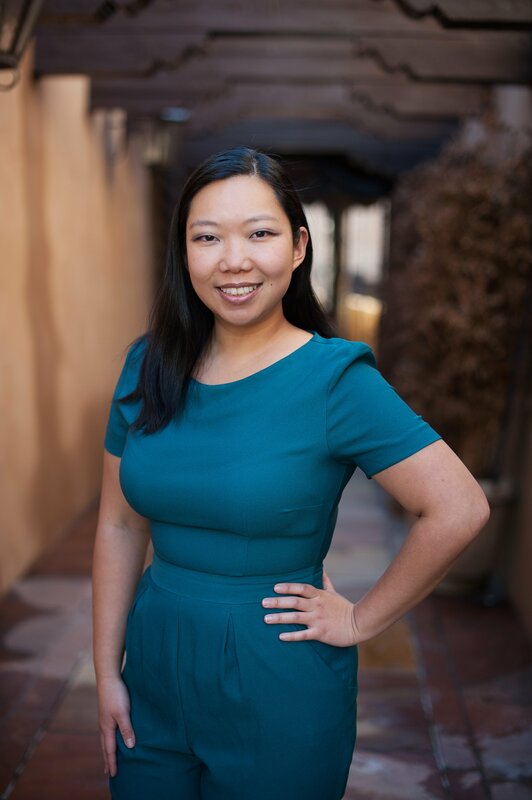 Previously, Kim led the digital marketing for a Southern California municipality focused on travel and tourism as well as served as the head of marketing and PR for an award winning digital agency. We love Kim because she can pick up a conversation with anyone, literally, even a turtle on the beach, and get their life story. She hides her OCD well, but we know she has it because we would fall apart without it. 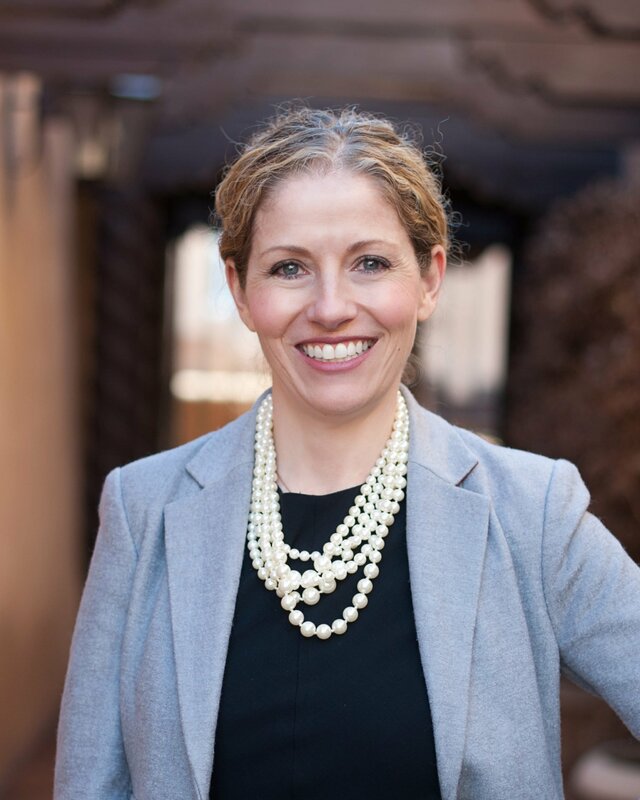 At Convince & Convert, she oversees business development and company growth initiatives. Megan has more than 12 years experience developing conversion-focused digital marketing strategies and campaigns. Nothing gets her more excited than smart content and marketing that drives bottom-line results. She’s a recognized expert on the intersection of search, conversion, social media, and content marketing, and her work has been featured in the New York Times and Entrepreneur Magazine. Megan frequently speaks at conferences such as Content Marketing World, MarketingProfs’ B2B Forum, Growth Marketing Conference, and Search Engine Strategies. Previously, she was in charge of marketing and content for the Online Marketing Institute. Prior to that, she was Online Marketing Manager at MarketingProfs, where she led their social media and conversion optimization initiatives, and ion interactive, where she built their content, social media, and marketing automation programs, from the ground up. 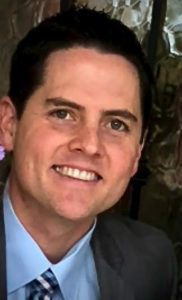 After graduating with a masters degree in mass communication from Arizona State’s Walter Cronkite School of Journalism in 2004, Chris began his career working with advertising clients at Arizona’s most visited web site, azcentral.com. Since then he has worked directly with a multitude of brands ranging from Macy’s to Bridgestone to BMW and Porsche. He has held positions in both product management and development as well as client facing roles working directly with customers to improve their profits and make their lives easier. Before joining Convince and Convert, he was Digital Sales Director and Senior Advisor at Automotive Rhythms, one of the first ever media outlets to produce online video reviews of the latest cars from all major automotive manufacturers as well as the industry’s luxury brands. Chris lives in Austin, Texas with his wife Amy as they raise their 3 children and 3 dogs: a pug, a Chihuahua pug, and a Boston Terrier pug (those are his dogs, in case you were wondering). In his spare time, Chris often thinks while sleeping about what he would do if he had spare time. Social media has become the Grand Ole Opry’s most versatile and effective marketing tool. Perhaps that’s surprising for a 92-year-old brand, but it’s absolutely critical to our ongoing success. Convince and Convert has enabled us to supercharge our efforts by providing insights on all aspects of our social media plan – from how best to organize our internal team for maximum effectiveness, to recommending monitoring and measurement tools to best fit our needs, to the creation of our foundational communication pillars. Now, we are not only keeping the Opry relevant for longtime fans but are reaching and engaging new audiences on a daily basis. The team is a pleasure to work with! Extremely knowledgeable in all aspects of digital. The team at Convince & Convert make everything super easy to understand on all levels, which is great when dealing with everyone from front line to executives. Our social media program at the IU Foundation was in its infancy when Jay and his team stepped in to help develop our new roadmap. They immersed themselves in our business and developed a comprehensive, step-by-step plan covering channel optimization, content strategy, data analysis and business tracking. Convince and Convert exceeded our expectations in terms of thoroughness, detail and breadth of creative ideas. After two years of work with C&C, we’re continuing to implement their recommendations with great success.